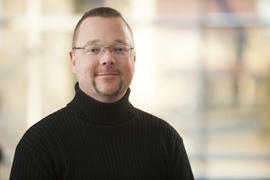 Dr. Adam DeVille is an associate professor and director of humanities at the University of Saint Francis. A teacher of ecclesiology, Dr. DeVille looks to other Christian traditions for a possible prescription for the clergy abuse scandals that has rocked the Roman Catholic church worlwide at what feels like regular intervals. In his new book, "Everything Hidden Shall Be Revealed," DeVille outlines some simple solutions from the structures of the Eastern Orthodox and the Anglical churches that he believe could stabilize the Roman Catholic Church as they deal with these crisis. Both the Orthodox and the Anglican communities feature parish councils, made up of men and women with "voice and vote" that help to govern the churches at the local levels. Those councils have a say, or at least the knowledge of where priests are coming from, and why they might be leaving. Another feature of the other traditions is elected bishops.DeVille argues that having bishops appointed by the pope is a relatively new tradition, and one that removes accountability from the local parishes. But one of the main changes he suggests is psychological. Because of the top-down focus, a heavy “cult of personality" has developed around the pope over the last few centuries. That, DeVille said, has to change. Catholic church officials and the laity need to stop waiting for the pope to act. “We need the local structures to hold these people accountable,” DeVille said. The book is available via Angelico Press or on Amazon.